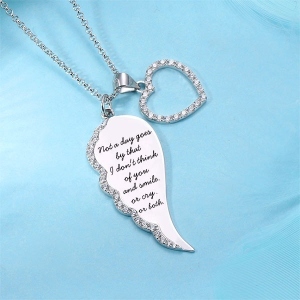 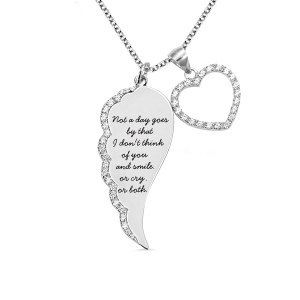 Personalized Angel Wing Heart Necklace is a lovely memorial necklace with a silver angel wing charm and heart. 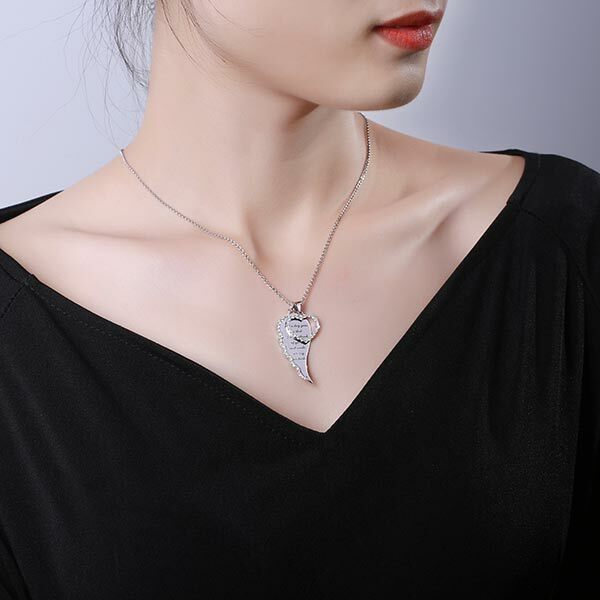 This exquisite fine necklace is a brilliant gift choice and its elegant appearance comes from great craftsmanship. Let this wonderful piece be a reminder that your guardian angel is always with you. 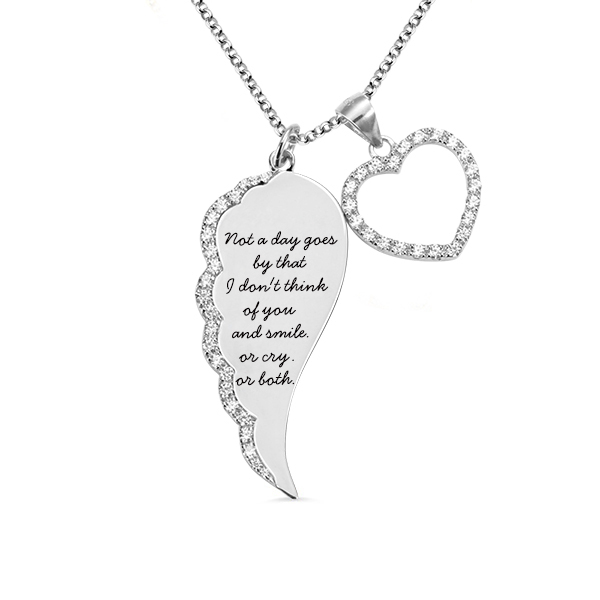 Customize it with the engraving contents of your choices.